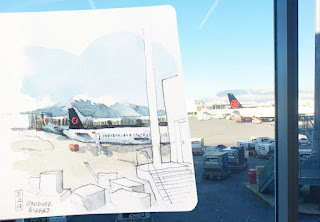 My experiences drawing at airports and on planes. [T.K. 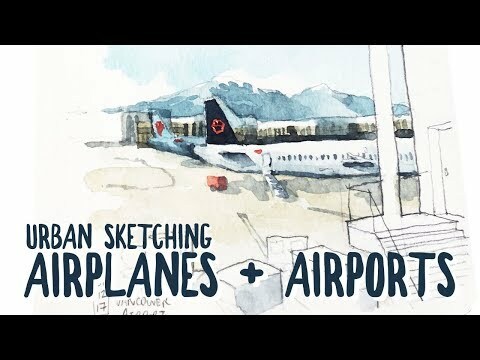 Justin Ng from Vancouver] Airplane and airport sketches are one of the most quintessential urban sketcher must-dos. 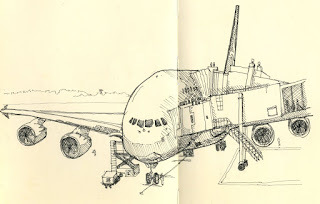 Many different people have taken on this subject and today, I will share with you techniques for drawing at the airport and in the plane as well as show you some of my old drawings. 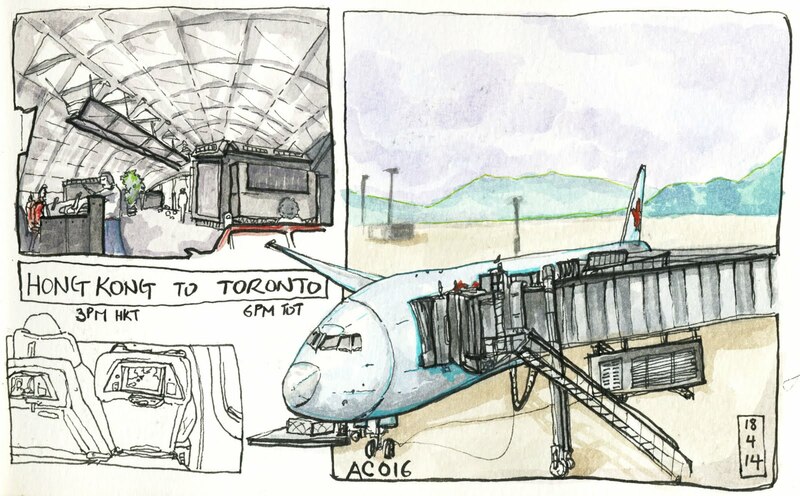 Drawing planes from the terminal has always been fun. 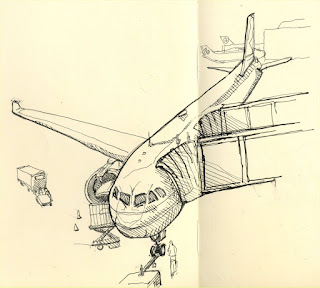 This was from my first urban sketchbook when I went on a trip to Singapore. 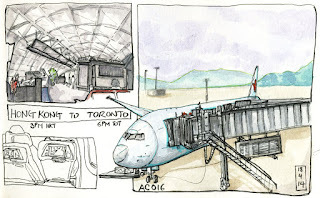 Back then, I wasn’t comfortable with using colours so my sketches were shaded by hatching. 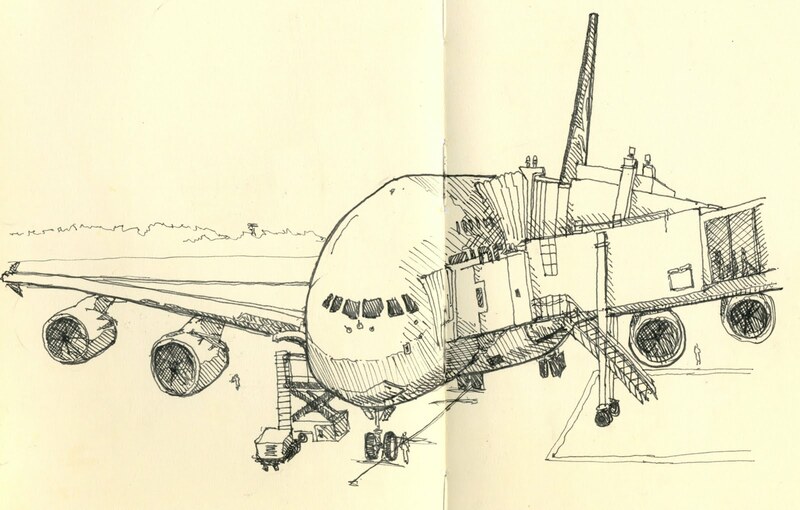 And this one is the A380 my family and I took returning to Hong Kong. There are so many different models that I haven't drawn. My drawings slowly progressed from focusing on the plane itself to including the surrounding context to better tell the story. My drawing style has changed over time and I once experimented with a comic-like layout. 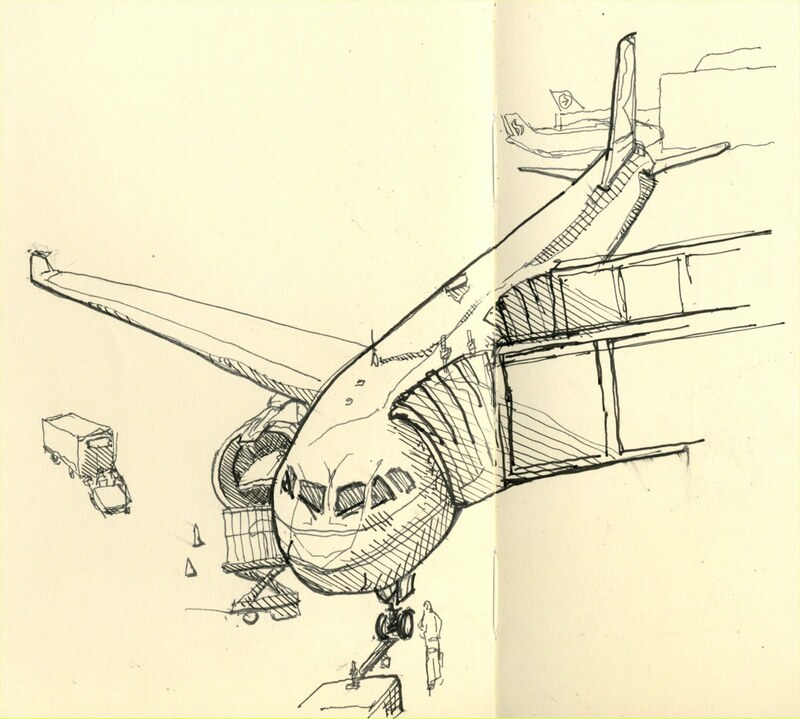 Here I tried breaking the box with the plane to create a more dynamic drawing.